Former Conservative MP Tony Clement, dropped from caucus during a public sexting scandal, is admitting to multiple cases of "inappropriate exchanges" online and says foreign actors tried to financially extort him. "One inappropriate exchange led to a woman being offered money by an anonymous social media account in exchange for the disclosure of intimate and personal information." Clement said he reported that case to the Ontario Provincial Police last summer. The force confirmed for the CBC that Clement did come to the OPP with a complaint in the summer of 2018 and an investigation was launched. The OPP would not say if the investigation is still ongoing. He goes on to write about another "inappropriate exchange" that "led to foreign actors attempting to use my indiscretion for financial extortion." That lines up with the statement Clement issued earlier this week admitting to sharing sexually explicit images and a video with an individual online, allegedly leading later to an extortion attempt. Sources have told CBC News that the would-be extortionist told Clement to pay €50,000 ($75,200 Cdn) or risk seeing the images and video released publicly. That case has since been reported to the RCMP. Clement's bombshell reveal of the OPP complaint raises more questions about what authorities knew. Sources told CBC News Clement flagged the alleged extortion attempt just a few days ago to the Privy Council Office — the branch of the bureaucracy that supports the prime minister and cabinet — and the special top secret national security committee he sat on until Tuesday. It's not clear if Clement also flagged the OPP case to the PCO and the committee. Scheer said he only found out about the OPP report today and suggested he wasn't the only one blindsided by the news. "This was a shock to me when I was made aware of the situation," he said today in Brampton, Ont. "Not only were we not aware of this, neither were the national security agencies that did the screening for Mr. Clement before he took his place on the national security council." The RCMP wouldn't say whether officers were aware of the earlier OPP case. "Since we are currently investigating the matter, we cannot further comment at this point," said a spokesperson in an email to CBC. Clement's meteoric fall from the Conservative Party's front bench started on Tuesday, when he resigned his justice critic role and positions on a number of Commons committees — including a top secret national security and intelligence committee. The rules for that committee state that "a member must, without delay, provide the Clerk of the Privy Council with a report of any change in their personal circumstances that may affect their security clearance." While the first extortion attempt happened in the summer, a government official speaking on background said the Liberal government only became aware of Clement's situation last week, once the PCO was made aware of it. The next day he was out of caucus after Scheer said he found out about "numerous reports of other incidents." 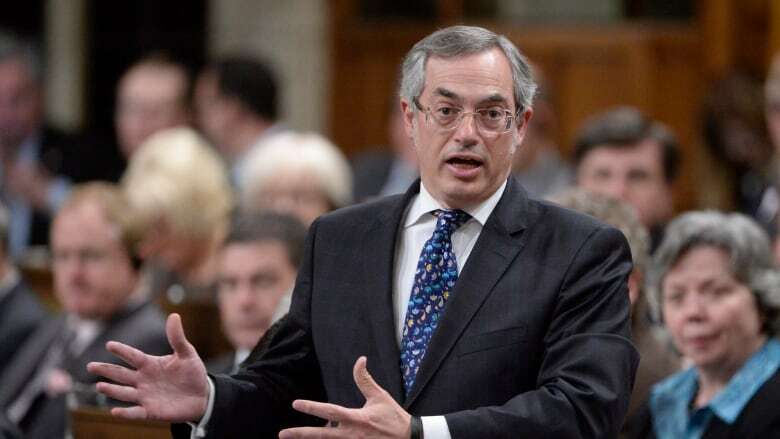 Clement said he plans to stay on as the MP for Parry Sound – Muskoka. With files from the CBC's JP Tasker.